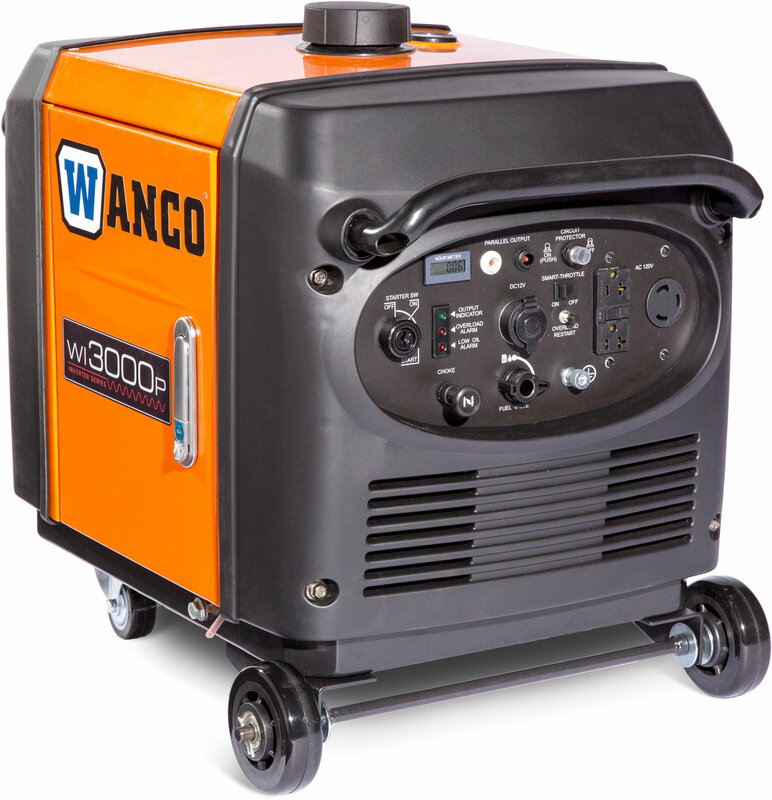 3000 Watt Inverter Generator - Wanco Inc. The WI3000P handles large power needs, letting you run a 13,500 BTU air conditioner or a 1.2 HP air compressor. It comes with an electric starter and a maintenance-free battery. The wheel kit with locking swivel wheels is also included, making the generator extremely easy to move. Its quiet operation makes it acceptable in any campground and it can run for more than six hours on a single tank of gas. This model is EPA and CARB compliant.